Activists in Keene have been “Robin Hooding” for years now. 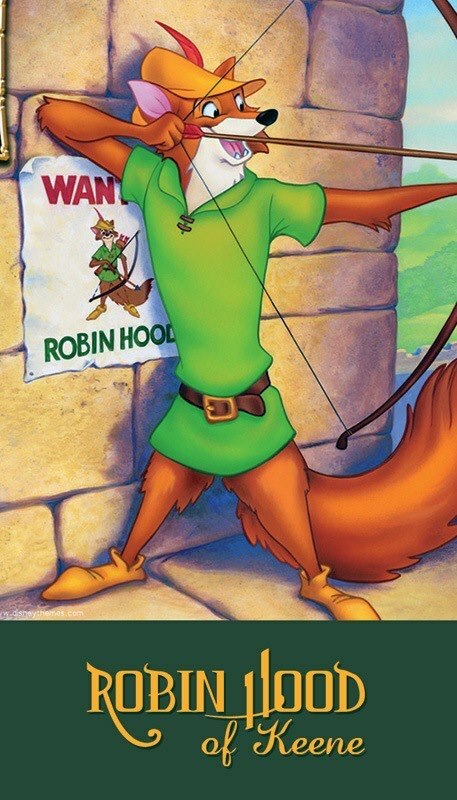 (Here are all our Robin Hood related posts.) The purpose is to rescue motorists like you from being ticked by Keene’s “parking enforcers”. If your meter is expired, Robin Hood and the Merry Men and Women will place a coin into the meter to extend your time, presuming we reach the meter before the King’s enforcers. If a “parking enforcer” is on the street, the Merry Men and Women will usually be seen walking directly in front of him/her and check and feed meters before the enforcer. In addition to our calling cards that inform motorists that they have been rescued, Robin Hooders are now armed with a flyer intended for people who we were unable to save from being ticketed. The information will help inform the King’s victims of their rights, like how to take it to trial and clog the courts and the myriad of benefits this tactic provides. Click to read that flyer in PDF form. However, we saved you from the king’s tariff! If you have successfully challenged a parking ticket, we want to hear about your victory! Read about Darryl W. Perry’s victory here.